We must take a short tour of Helios House, Los Angeles, a useful learning lab for new technologies. 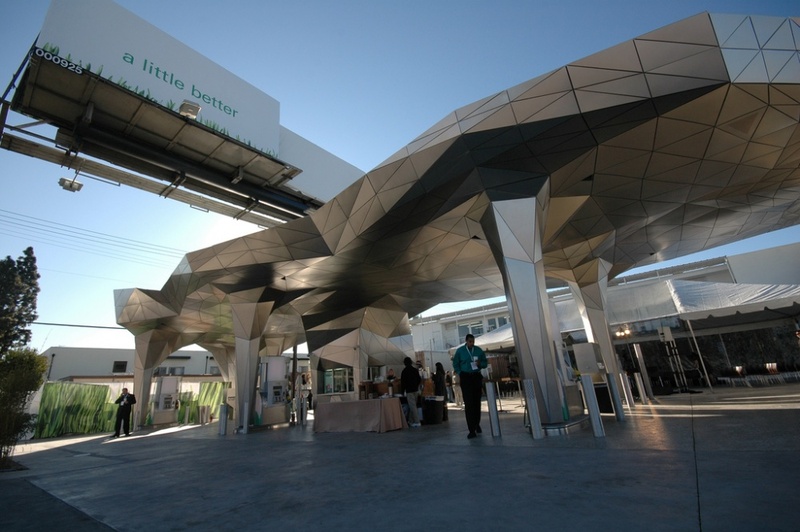 Helios House was opened in February 2007 in downtown Los Angeles by Office dA and it’s he first LEED (Leadership in Energy and Environmental Design) certified gas station in USA, created by BP, an international oil company. LEED is a certification that verifies green architecture and sustainability. It could sounds strange to associate an oil company with the environment but so it is. Two, pre-existing billboards on the site were incorporated in the building to attract attention to the station’s environmental and educational mission. A new learning lab. The most beautiful element in the design of the station is the canopy, that covers all the pump bays and it has 90 solar panels that supply power for the station. 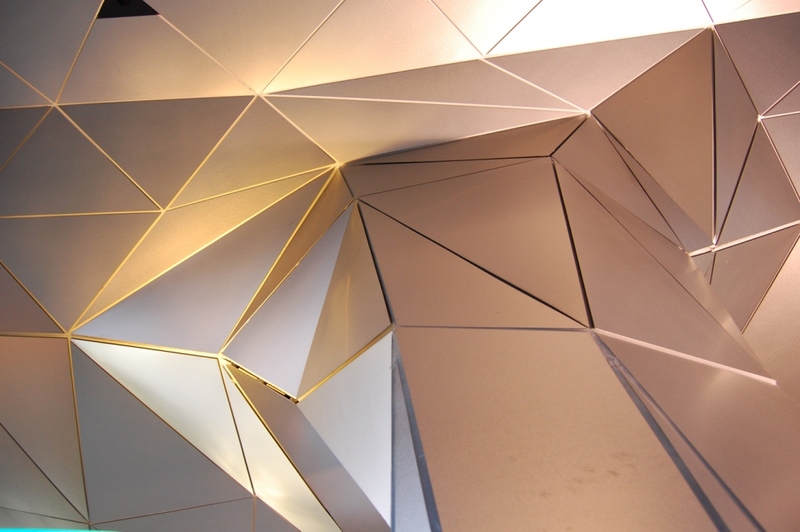 The canopy is shaped in triangular stainless steel panels that can be removed and reused on other buildings. Surely an interesting way to build, very sustainable and useful in a world without resources. I hope it could be also applied in completely different type of buildings. Moreover, rainwater is collected by this large canopy and pumped to irrigate the plants around. Helios House exceeds current environmental standards for on-site water collection and uses 16 percent less electricity than traditional gas stations. The lighting, LED lamps, is controlled by photocells and motion detectors to optimize times. Everything is designed not only to be a learning lab where green techniques can be tried out and passed on to other buildings , but also a meeting point for the visitors. This entry was posted in Los Angeles noir and tagged gas station, Los Angeles, solar panels, sustainability. Bookmark the permalink. It’s a cynical and poor-performing project. Only BP would present a “green” gas station that services no alternative fuel vehicles, and has a rootop PV array which is shaded by it’s own “Beyond Petroleum” billboards for most of the day. In fact, I wrote that it seems strange to associate sustainability with a petrol company.It’s an opinion, but the project is interesting because of the Architecture. Above all,I like the dynamic design and the idea of the removable panels.